Part Name: Belt Tensioner Assy. What is the Belt Tensioner all about? A Drive Belt Tensioner is a pulley mounted to either a spring mechanism or to an adjustable pivot point that is used to keep constant tension on your serpentine belt. That is the big long belt in the front of your engine.The tensioner rides on the outside surface of the belt to put pressure, or tension, on the belt and against the pulleys that drive things like the alternator, power steering, air conditioner, etc. 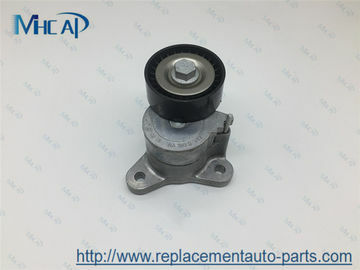 Tensioners usually come with pulleys; they are normally replaced together. Also, when replacing a tensioner, the drive belt usually must be removed. How does Belt Tensioner Work? Please send us your OEM number. 2. We will help you choose a best shipping way depend your need. 3. All products have to pass strict inspection before leave factory. 4. Our company has a wide business scope in auto parts . 6. Other service: please let us know your special requirements if any before you place an order and we can discuss the possibility to solve it.